The state became independent on 7 August 1960. Today, Côte d'Ivoire is a republic with a strong executive power personified in the President. Its de jure capital is Yamoussoukro and the official language is French. The country is divided into 19 regions and 58 departments. Côte d’Ivoire is the world’s largest producer & exporter of Cocoa beans and a significant producer and exporter of coffee and palm oil. Government attempts to diversify the economy, it is still heavily dependent on agriculture and related activities, engaging roughly 68% of the population. 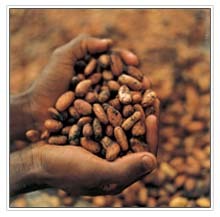 Since 2006 oil & gas production have become more important engines of economic activity than cocoa. According to statistics, earning from oil & refined products were $1.3 billion in 2006, while Cocoa-related revenues were $1 billion during the same period. Côte d’Ivoire’s offshore oil and gas production has resulted in substantial crude oil exports and provided sufficient natural gas to fuel electricity exports to Ghana, Togo, Benin, Mali and Burkina Faso. Oil exploration by a number of Consortiums of private companies continues offshore, and President GBAGBO has expressed hope that daily crude output could reach 200,000 barrels per day (b/d) by the end of the decade. Agricultural Products Coffee, Cocoa beans, bananas, palm kernels, corn, rice, manioc (tapioca) sweet potatoes, sugar, cotton, rubber & timer etc. Legal System Based on French Civil Law system and customary law, judicial review in the Constitutional Chamber of the Supreme Court. Chief of State: President Head of Government: Prime Minister Cabinet: Council of Ministers appointed by the President. Note: under the current power-sharing agreement the Prime Minister and the President share the authority to appoint ministers.